The Australian Water Partnership signed a Memorandum of Understanding (MoU) with the Food and Agriculture Organization of the United Nations (FAO) and the Government of Australia (DFAT), in Canberra today, to work toward improvements in fresh water management in Asia. The MoU was signed by FAO’s Assistant Director-General and Regional Representative, Dr Kundhavi Kadiresan, with Minister for International Development and the Pacific, Senator the Hon Concetta Fierravanti-Wells, and eWater Ltd Chair Don Blackmore AM for the Australian Water Partnership with AWP CEO Prof Nick Schofield (pictured L-R). Australia is known worldwide for its water management expertise. Coupling this expertise with in-country networks and FAO’s Representations in the Asia-Pacific region, the MoU will provide opportunities to leverage this experience and will greatly increase its reach and impact to the benefit of countries in Asia facing increasing challenges of water scarcity. “Australia values its partnerships for international development with a range of multilateral organizations and today’s MoU with FAO is a further testament to that commitment,” the Senator said. 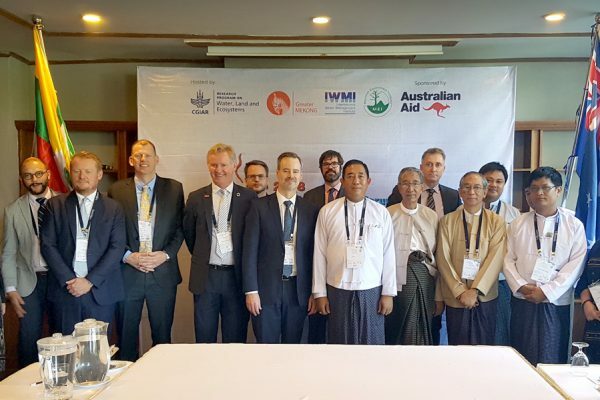 The Australian expertise is coordinated through the Department of Foreign Affairs and Trade which funds the Australian Water Partnership (AWP). 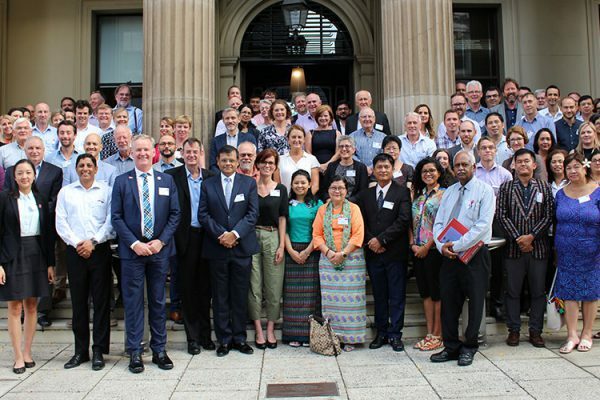 The AWP has been established to share Australia’s extensive experience in managing water in the context of scarcity, over-allocation and climate change. As the population of Asia expands, the competition for natural resources, particularly water, will intensify. Farmers and food producers will be competing with other users including industry, cities and the environment. Hence the need for improved water management is vital to help achieve the world’s Sustainable Development Goals (SDGs). “To further the achievement of our common objectives, the AWP intends to collaborate with FAO to facilitate access to Australian expertise in such areas as management and governance of surface and groundwater for agriculture, including strengthening institutional frameworks, regulations, policies, allocation strategies, investments and operations,” said Dr Nick Schofield, CEO of AWP. As climate change mitigation and adaptation in agriculture is a key regional priority for FAO in the Asia-Pacific region, and as climate change has a significant impact on the water cycle, developing mechanisms that will help farmers and other land users cope with increasing uncertainty and vulnerability will be of critical importance. Therefore, collaboration under the MoU will focus on ensuring maximum reach and impact of Australian and FAO expertise in water management for agriculture in the region. Joint activities will include producing new technical training materials and policy advice, developing new analytical programmes to inform large-scale water investments, and the hosting of a range of new learning and knowledge exchange opportunities. FAO will also utilize its close relationship with ministries of agriculture and natural resources to ensure these efforts have a positive influence on policy and practice.